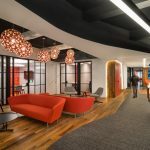 Companies are kicking off their former drab office surroundings — which can inhibit productivity and dampen moods — and opting to use commercial glass in their workplace designs. Why? 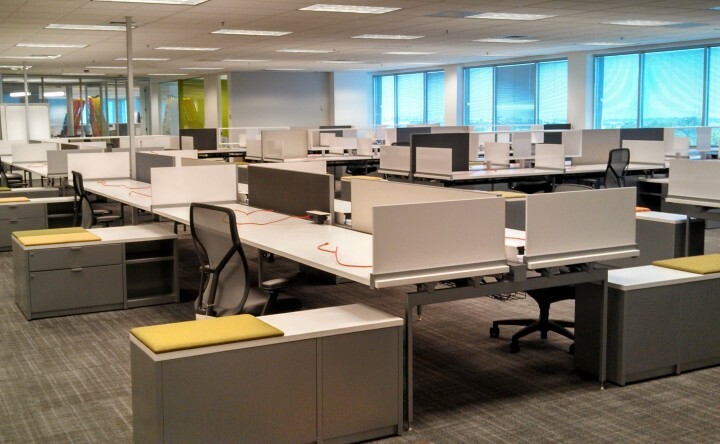 Well, mainly because letting in the natural light can invigorate spaces and motivate workers. But like all things in life, commercial glass has both perks and downsides. For example, all the sun’s natural light means designers need to choose glass that’s not going to thermally heat up in summer, which can send electricity bills skyrocketing. So here are a few primary things to consider when checking out commercial glass options for your workplace. Glass is a versatile material that impacts thermal performance, light, safety, and acoustics. Get the help of an experienced and knowledgeable glacier to determine the best commercial glass appropriate for you. Great designers will want to know if your commercial glass selection is natural clear, tinted, or colored. 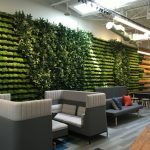 Each has its benefits on people, the environment outside, the workplace design itself, and even as highlights to the office decor. If your office is in a busy part of town with lots of development or bustling noise outside, then opt for a double-glazed glass. The intrusive noise from outside will be softened or blocked entirely, depending upon the grade you select. Using the correct commercial glass can help you cut electricity expenses by up to 60 percent. Tinted commercial glass also has the ability to keep out the heat and let in the cold light in summer, whereas in winter it acts on the reverse. The correct glass can bring these economic benefits. Focus on safety while choosing your commercial glass, especially if your workplace is located in a high traffic point. Your glacier will be able to provide tough laminated glass that will not break easily should there be an accident. This will be safer for the staff working inside. With the help of a good glacier, you can install the right glass material for your office. And with all of the economic, visual, and productivity benefits that come with great commercial glass, your staff surely will thank you for it. Thank you for all this great information about choosing a commercial glass company! One thing that really stood out to me is that you say to make sure that the company has great designers. It would be nice to know that they will be able to give you options that will make your space look the best. I’m glad you pointed out that laminated glass is tough and won’t break easily in case of an accident. At my work we’re currently designing our new building, and we like the idea of glass but want to choose an option that won’t break easily and require a lot of repairs. Thanks to you, I now know that laminated glass will be a good option! I like how you discuss the versatility of glass as it can be used in a lot of ways to be able to decorate an office, like having double-glazed glass block out outside noise from other departments of the office. Another thing to watch out for is to make sure to use the correct type of commercial glass since it can potentially save up to 60% energy expenses since tinted glass can keep the heat out and let cool light into the office space. If I had the chance to use glass to decorate an office, I would make use of its energy-saving efficiency cost so that the rest of the saved money can be directed towards other important office costs like renovation. It’s interesting how you said that double-glazed glass can keep intrusive noise from distracting the employees inside of an office. My wife works for an accounting firm that is currently in the process of remodeling their building so that they can make a better first impression on potential customers. They may benefit from hiring a commercial glass company to complete all of the glass projects for them.